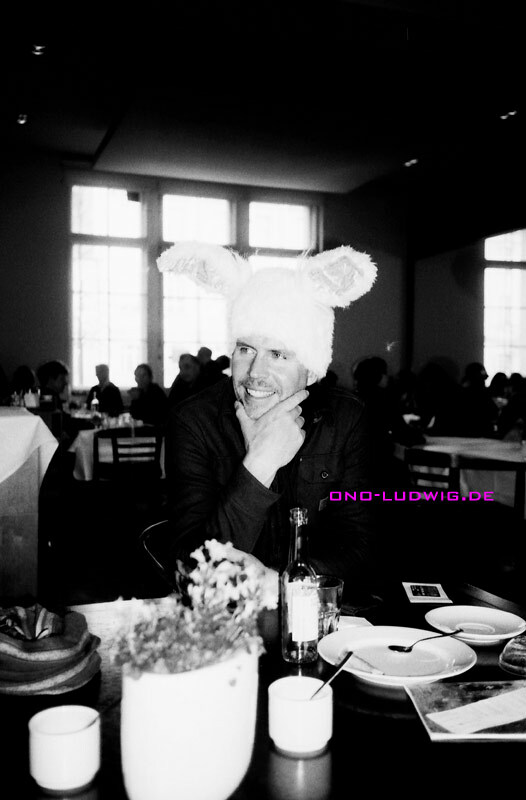 Ono Ludwig took this photo while at a restaurant in Berlin. 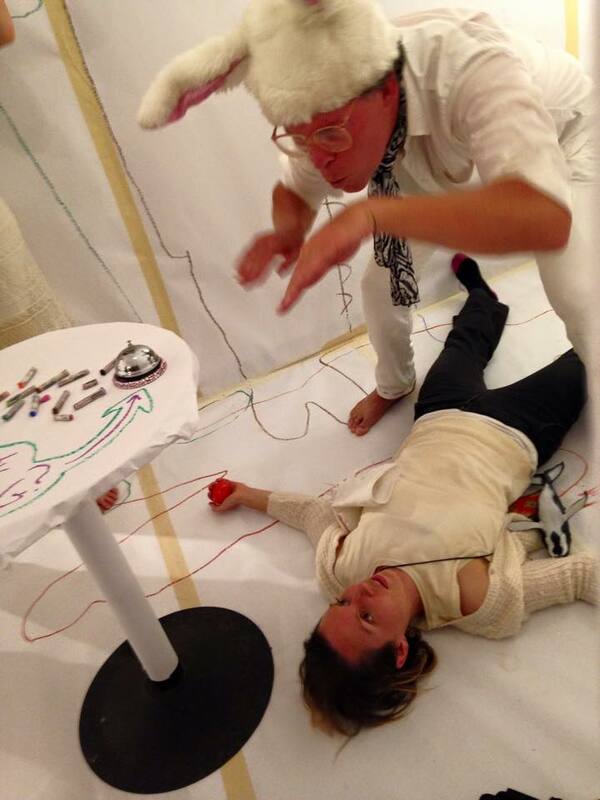 Der Hase at Adrian Arias’ Illusion 8. 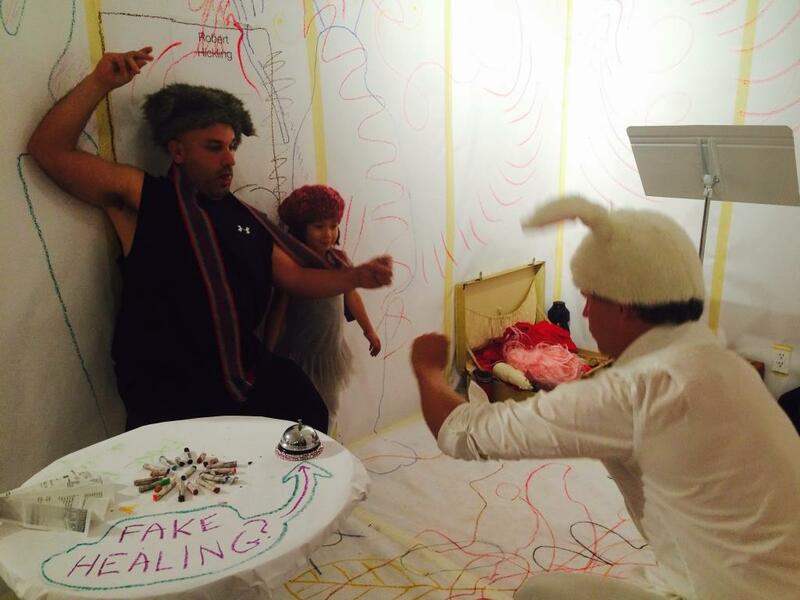 Der Hase in the midst of a fake healing at Illusion 8. Preparing for her fake healing at Illusion 8. 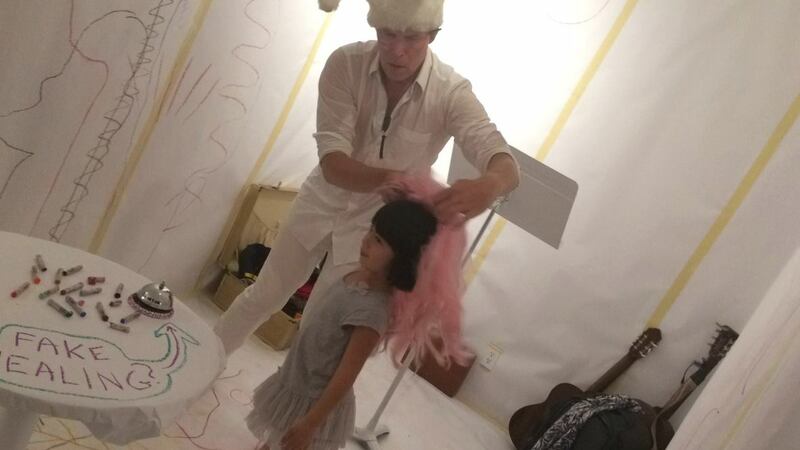 Father and daughter fake healing at Illusion 8. Blessing a wedding with a Der Hase and Barry White duet. 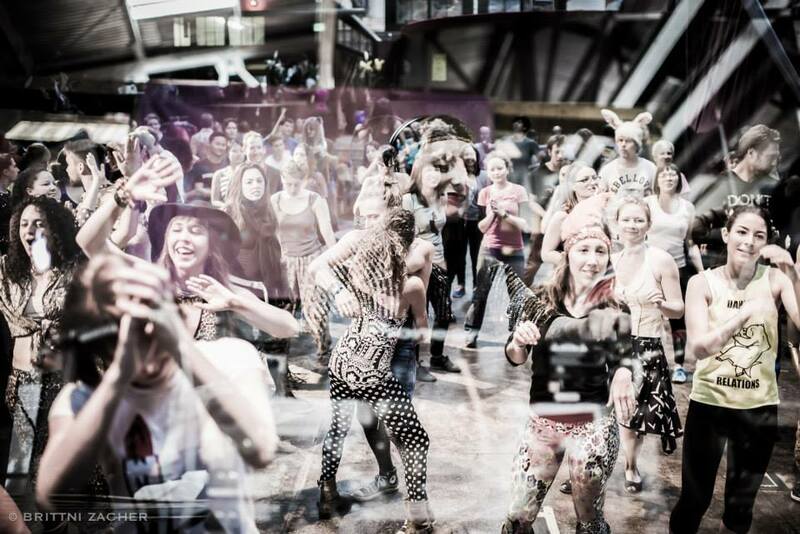 Der Hase bringing portable dance music to the streets and streetcars of Berlin. 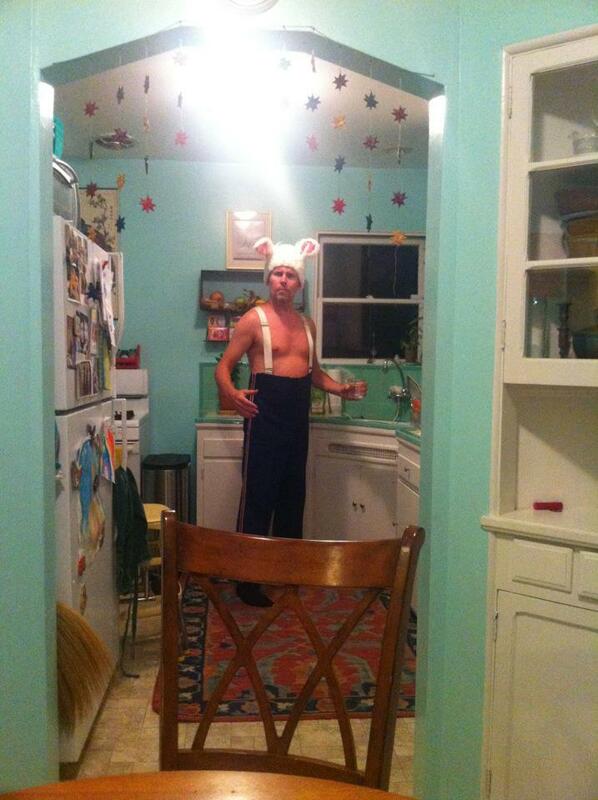 Der Hase caught in a kitchen. 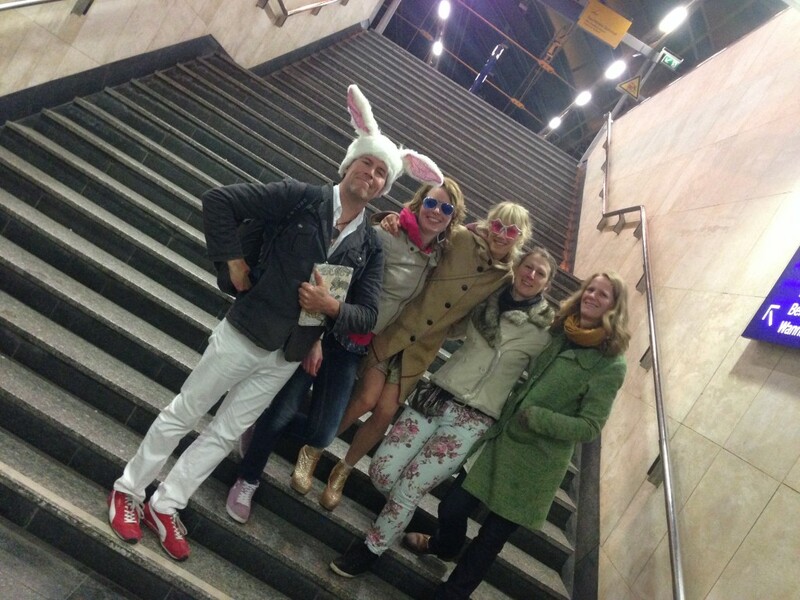 It began as an experiment—to walk out of the apartment into the cold, Berlin winter morning with rabbit ears on. All sorts of reactions from delight to disdain were observed as Der Hase was riding public transportation and walking through the streets and museums. 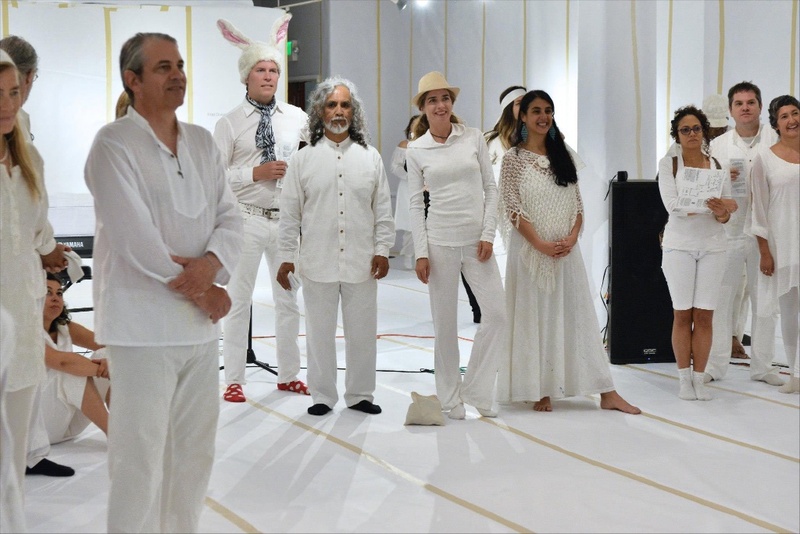 Later, der Hase performed Fake Healings at Adrian Arias’ Illusion 8, and also conducted a guided meditation, a rebirth for Homo sapiens to be in touch with their own animal nature, free of nationality. 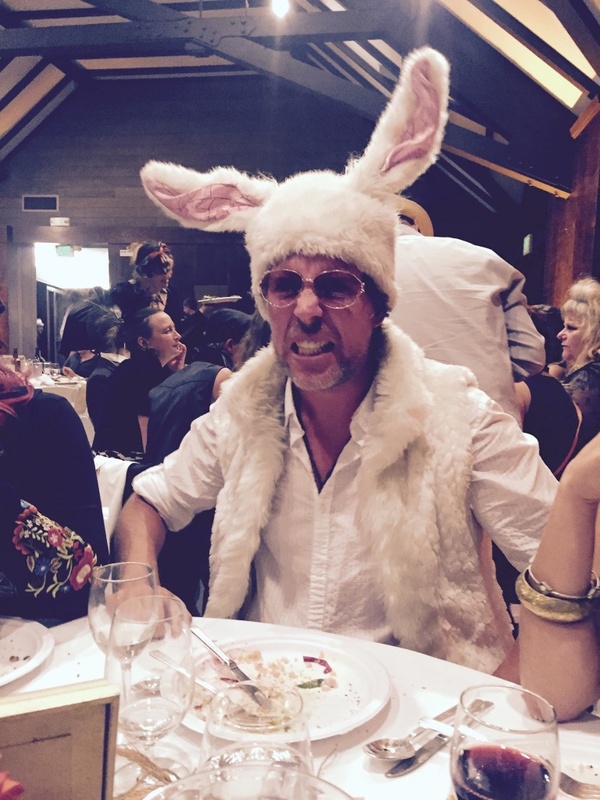 Put on rabbit ears and pretend as if nothing is odd about wearing rabbit ears. 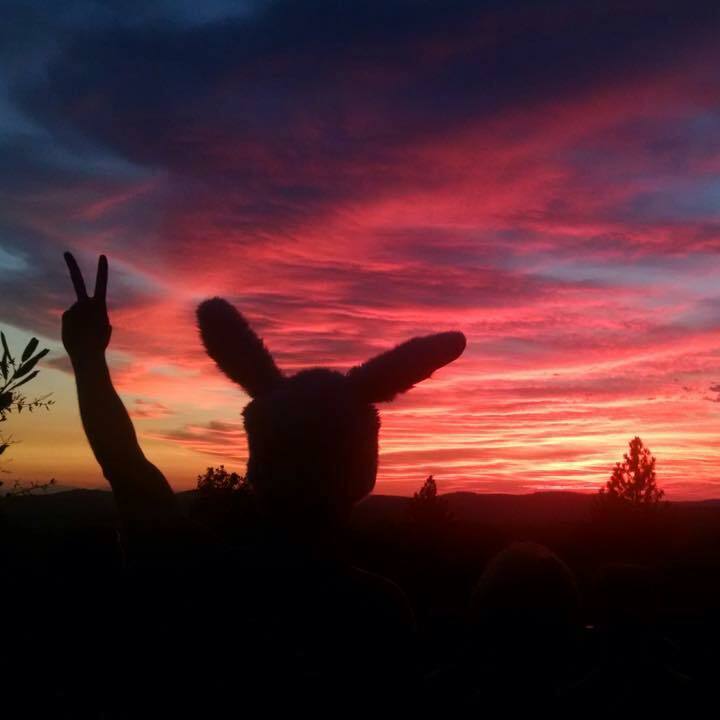 Immerse in the reality of the rabbit. Realize that the rabbit has no nationality.